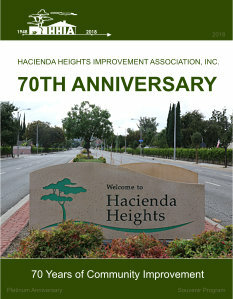 Documents 2017 | HACIENDA HEIGHTS IMPROVEMENT ASSOCIATION, INC.
HACIENDA HEIGHTS IMPROVEMENT ASSOCIATION, INC. The HHIA Community Bulletin Board is located at the back entrance of the U.S. Bank (adjacent to the branch Post Office.) on Hacienda Boulevard.